A new era for Futsal in RI begins today as Bayside FC announced the launch of its new Futsal Academy program. To promote the game of Futsal as a player development initiative in a club neutral environment. "We are thrilled to launch the Bayside FC Futsal Academy," said Lionel Delos, Co-Futsal Director of the newly formed Bayside FC Futsal Academy. "We believe this is an important step towards developing top-level players in RI and Southeastern MA”. 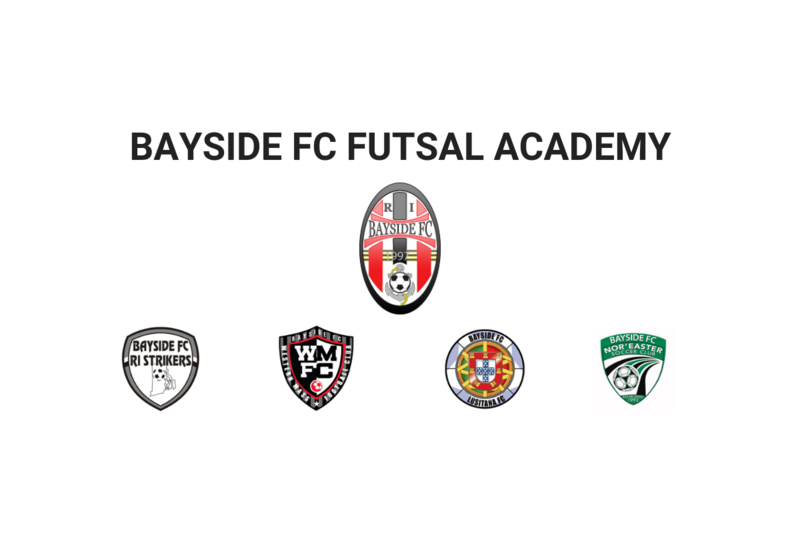 Setting the standard for elite futsal training and competition in RI, Bayside FC’s Futsal Academy program will improve player development by providing high quality and consistent futsal training environments, meaningful futsal competition and coaching education. "The goal is to produce players of exceptional ability in both soccer and futsal," said Joao Santos, Co-Director of Bayside FC’s Futsal Academy. "The Bayside FC Futsal Academy is designed for players who want to participate in high-level technical and tactical futsal training and competition. The Academy structure will complement - not compete with - a player's club training in order to optimize schedules and maximize development." The Bayside FC Futsal Academy will offer players a unique opportunity to develop and compete in a futsal-centric environment alongside of other dedicated and skilled players from a variety of youth soccer clubs within the Bayside FC umbrella of affiliate Clubs and from outside of the Club. With a focus on training and development, Bayside FC Futsal Academy teams will have the opportunity to compete in meaningful games against the best in their region at Showcases & at the U.S. Futsal Northeast Regional Championships which will be held in Atlantic City, NJ, from February 15-18, 2019, the top-rated Futsal Tournament in the Northeast. Teams will also have the option to compete in the USYFF Northeast Regional Championships in Boston, MA from January 18-21, 2019. Our goal is to utilize a player-centric curriculum and structure to equip our players with the enthusiasm, courage and skills to flourish, be creative and to over come any fear of failure. The game demands quick reflexes, fast thinking, and pinpoint passing. Futsal uses a smaller, heavier, low bounce ball. Ground control and first touch are essential to success in the game. In a statistical study comparing Futsal to indoor arena soccer, players touch the ball 210% more. With limited space, an out of bounds and constant opponent pressure, improved ball control skills and technique are required. In order to escape from tight situations, you must make supporting runs when teammates have the ball. Futsal rules encourage technical play and do not permit the aggressive physical play that soccer allows. Many of soccer’s greatest players like Messi, Pele, Ronaldo, Iniesta, and Neymar all grew up playing futsal and credit futsal with developing their skills. US Soccer now requires all Development Academy players to play futsal in the offseason. Messi himself fondly recollects his time at the Rosario based club; “as a little boy in Argentina, I played futsal on the streets and for my club…it really helped me become who I am today”. More shooting, more goals, more action! Players rotate positions throughout the game, so every player is 100% involved in every game.